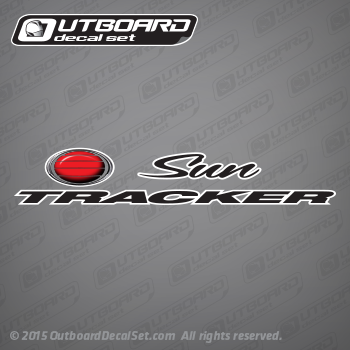 Sun Tracker hull decals Sold by Each. 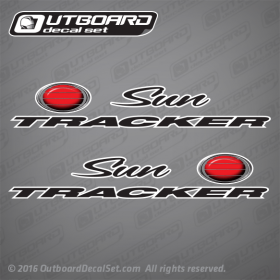 Stickers made using OEM size from 1994 Sun Tracker Pontoon, usually installed on the rear side of the boat, This same design is also used on 1994, 1995, 1996, 1997, 1998, 1999, 2000, 2001, 2002, 2003, 2004, 2005, 2006 and 2007 pontoon boats. As seen on Fishing Barge 21 Pontoon Boats and other models.